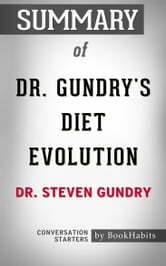 Dr. Gundry's Diet Evolution is the first diet, nutrition, and wellness book written by Dr. Steven Gundry. The book was first published in 2008. 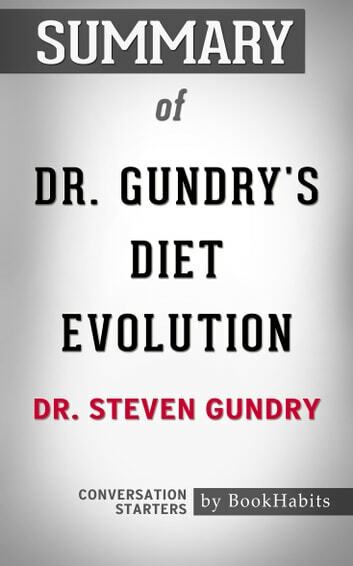 In his book, Dr. Gundry promises to help people learn how to turn off the genes that are contributing to their weight gain. He also explains why plants are healthy to eat and why meat is not healthy to eat. Dr. Gundry discusses why hitting a plateau when dieting is a positive sign and why artificial sweeteners are no different than sugar in the ways they affect your heart. Including in the book are over 70 healthy recipes. According to Dr. Mehmet Oz, Dr. Gundry's Diet Evolution is a “wise program” with a strong record of helping people become healthier. Greg Renker, who co-founded Guthy-Renker, suggests that people begin following Dr. Gundry's ways to healthiness immediately. This book had nothing about the diet, the phases, only questions?! It starts with his credentials and Fireside Questions! Nothing to get you started! No phase 1, no grocery list. No menu planners.